We ran a little Band of the Day feature on Razorwire Halo a few days back and I’ve since had a few more listens to this, their latest EP. Billed as “electro-rock”, they bring in some nice crunching guitars, samples and an overall industrial tone. Retaliate features half a dozen tracks, the first of which is a short introduction before the music proper kicks in with “Sweat”. All five members of the band can be heard putting their own into this effort, including bassist Skylar’s backing vocals underpinning lead vocalist (and her husband!) Tak’s at points. It’s a great track to pick to get things going, slow but powerful and complex with so many layers – the perfect introduction to Razorwire Halo’s sound for those who’ve not encountered it before. “There’s Not Much Left To Believe In” has a very sludgy, slushy sound to it, mainly down to the distortion of the lower notes. I’d describe it as subterranean, dank, dirty and yet huge – picture a massive underground vault, slime dripping from the eaves while the band throw down their tunes from a stage at one end… and I’ve just described the next video they should be making. I’ll take 10%, guys! The track flows into “Pretty” which carries on the theme of simple, grinding riffage intermixed with well-placed samples and synth hits. While never quite having the punch of the previous two tracks, it’s the kind of thing you could very much dirty dance to. If you’re into leather and cybernetics, anyway. Slow and filthy, and it even has a nice, eerie guitar solo. “Liar” brings the tempo up again and really brings out the obvious Nine Inch Nails influence. I really wanted to get to the end of this review without mentioning Reznor’s little project, but there’s an undeniable sonic similarity throughout, though never quite hitting the same goth edge. Certainly “Liar” has more of en electronic edge through the instrumental break than anything by NIN I can think of off the top of my head. It’s a pulsating way to end the song, too. Taking us to the end of the release is “Supernova”, kicking off with a nice simple riff and wailing guitar. It’s actually pretty creepy and the long drawn-out vocals really stand out, as does the track as a whole. This is more of an atmospheric number than any of the others, and rounds things off well, especially as it dips into a very slow, key-led break mid-song. As myself and others have mentioned on here in the past, an EP needs to give a flavour of a band. It needs to let them strut their stuff, push their boundaries and give the listener an idea of all aspects of the band’s sound. 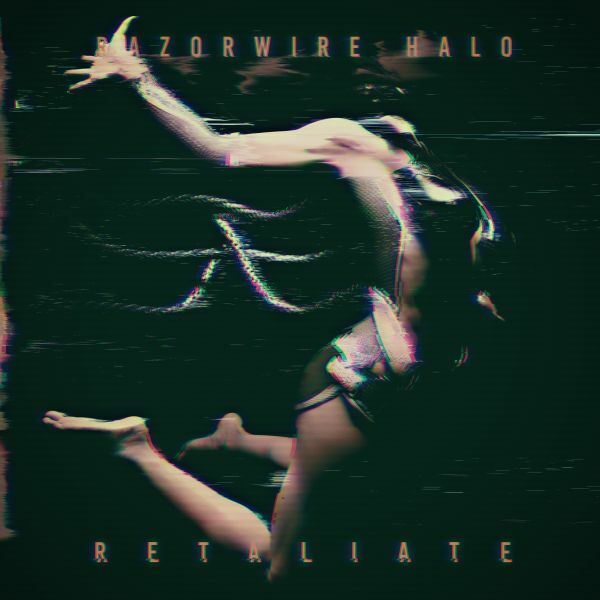 Retaliate certainly does a good job of this for Razorwire Halo and is a release you definitely need to check out if you’ve any interest in the electro / industrial end of the spectrum.